Poor Ambassador Tsibola is back in town, and at least four difficult interviews with different people send him on the run -- to his bed.Sidebars include the beginnings of a new Distect scare, this time out-T,and a scene where Cristal asks for advice (with thematic connections to one of the main plot threads). We also have Saag and Randayl, the Senator's Sime sons, exchanging stories, as well as Fennik and Tsibola having one of their brandy evenings, only without the brandy this time. Our local Relay for Life is one of the earliest in the country. My team, the 8th Wonders (all breast cancer survivors) raised nearly $5000--and we would like to raise the rest before August to put us in the silver category (we are now at bronze). If you'd like to help push us over our goal, you can contribute online at http://short.to/12jf1 The money goes directly to the American Cancer Society. http://whatsnew..simegen.com/ Click in the right margin to follow this Newsletter, and the news will appear in your blogger.com account. Or you can use the RSS feed. If there's another follow-tool you would prefer, please e-mail simegen@simegen.com asking for it (give the URL) and we'll enable it. There are a few handy tools we haven't enabled yet, but they are available (such as feedburner). imagination of the very young as seen in The Christmas Kitten. 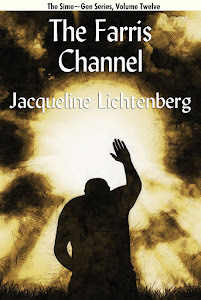 Amazon.com has made Author Pages for Jacqueline http://www.amazon.com/Jacqueline-Lichtenberg/e/B000APV900/ref=sr_tc_2_0?qid=1274145159&sr=1-2-ent and Jean http://www.amazon.com/Jean-Lorrah/e/B000APACX0/ref=sr_tc_2_0?qid=1274145011&sr=1-2-ent Both pages are incomplete, not listing all the books we have available on the site, and neither has any comments or discussion going on. Still, they are available. More Amazon news: Amazon.com has just--without warning--eliminated all ebook downloads other than Kindle. 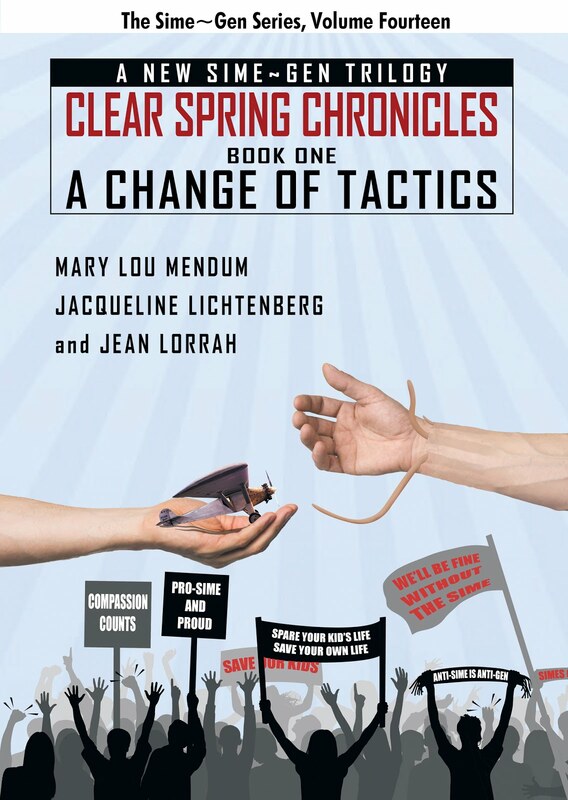 The downside is that you can no longer download the ebooks of Jacqueline or Jean's books that had been available, or the Nessie's Grotto books by Lois Wickstrom and me (you can still get the latter at Fictionwise). The upside is that Blood Will Tell and Jean's four Star Trek novels have suddenly developed Kindle editions. Blatant commercial to keep simegen..com on the air.If you buy from Amazon using one of our search boxes at the bottoms of many of our pages, or find what you're looking for in our a-stores, we get a few cents to pay the bandwidth bills. We are preparing to make available in e-book and on paper, a set of 7 textbooks on writing, 5 of which are on philosophy, the wellspring of ideas and the bulwark against writer's block. The particular philosophy showcased is the structural framework behind Tarot, but you don't have to be interested in Tarot to use this information in writing or many other endeavors. see the top ten in each category. http://whatsnew.simegen.com/ which is a neat way to avoid losing the Newsletter in spam. our pages. Our top page has three really handy ones near the bottom. reprint of the Savage Empire series. by Sime~Gen Inc. and all rights are reserved.